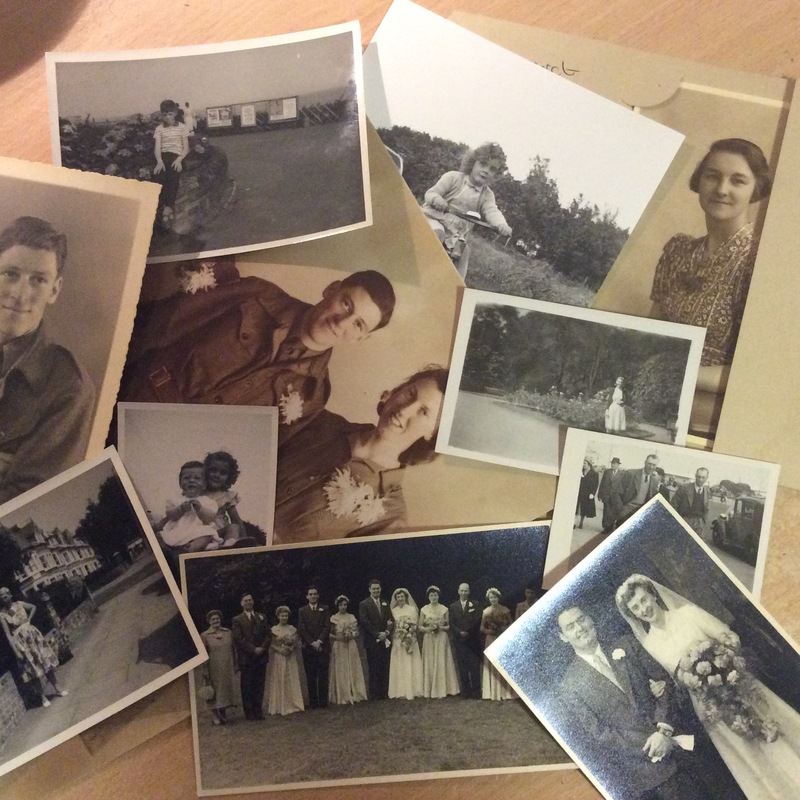 A world looking in – how near and distant cousins may hold the key to photographs of your family branch. With today’s culture somewhat obsessed with taking ‘selfies’ or photographs of their dinner, or their cat (i admit i’m guilty of all three), it makes me wonder how this might affect photography’s role in genealogy research in the future. Might we find in the future that there’s billions of collections of 10,000 photographs of the same one person, and no-one else? This week, I experienced the delightful feeling of opening up an envelope and finding 16 photographs tumble out onto my desk. Not only was this somewhat un-expected, but not one of those photographs was familiar, and there are at least 9 people who I’ve never seen in a photograph before. Some of the 16 photographs that were kindly sent to me. This example reminded me of the importance of looking for photographs whilst researching. And, it reminded me that while our own ancestors or relatives were often busy holding the camera and taking photographs of things that were new, or of special occasions, they were generally not taking selfies. This seems to be reflected in the photo albums I have. Why would they fill a photo album of photographs of themselves? 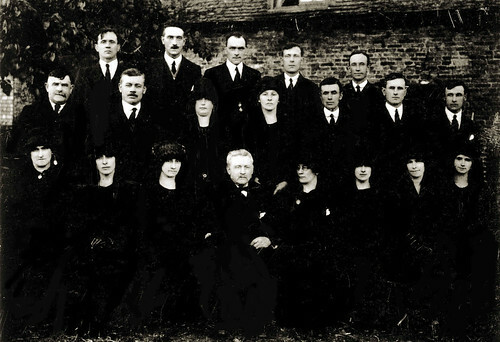 They would rather have photographs of people they knew, including neighbours, friends… and those all important relatives. Having seen this in the albums in my custody, i realised that the photo albums of cousins may well be the same, but featuring photographs that their ancestors had taken at special occasions. So, like my branch looked into their world through a lens, their world was busy looking in on my branch, and often at the same occasion – giving you a potentially fuller photographic record. So, to discover more photos of your family branch, reach out to those cousins near and distant, and see what snaps they have. This is one of my 2015 Genealogy Resolutions (and was also one in 2014). It was a handwritten tree and a single photograph of two adults with a horse and cart, that sparked my interest in genealogy. 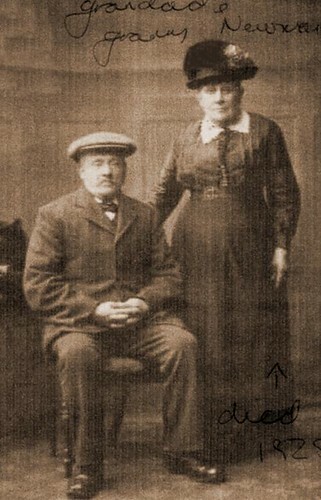 Since then, I’ve been lucky to have found a vast wealth of family images reaching back to the late 19th century. This isn’t the first time that a cousin’s photographs have helped to expand my research. A couple of years back, one of my Cooper family cousins solved a puzzle of a crudely cropped photograph, and in doing so, changed the identity of the man in the piece of photo I had. 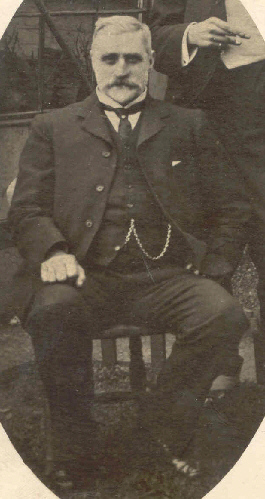 Originally, the man below was ‘Charles Newman‘, my Great Great Great Grandfather, but tantalisingly there’s someone else in the image who has been cropped out. Two years later, cousin Evol Laing, who discovered me online, revealed the rest of the image, changing his identity completely to John Cooper, and showing his sons Alfred, John and Harry. She also had other photographs to back this claim up, and a wealth of photos from the Cooper family. The connection between Newman and Cooper? Well, the ‘Charles Newman’ had a daughter-in-law named Harriet Cooper. John was her brother. 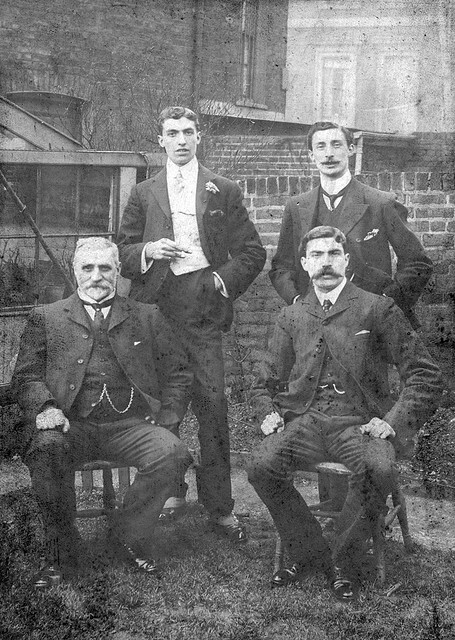 John Cooper (seated) with sons (L-R) Harry, Alfred, and John. My scanner hasn’t been this busy since my first year of genealogy research, where I scanned dozens and dozens of images from my Martin and Dewey families. I’m now back on the photograph trail, and hopefully will be able to tick off that Genealogy Resolution for 2015. John Cooper and his sons., originally uploaded by familytreeuk.